Rúnar Gunnarsson was born in Reykjavík in 1944. He studied photography with Guðmundur Erlendsson at Stúdíó Guðmundar and at the Brooks Institute of Photography in Santa Barbara, California. He graduated as a cinematographer from the Dramatiska Institutet in Stockholm and worked as a photojournalist and film photographer in Reykjavík. He was a television producer and later a program director for the Icelandic National Broadcasting Service. 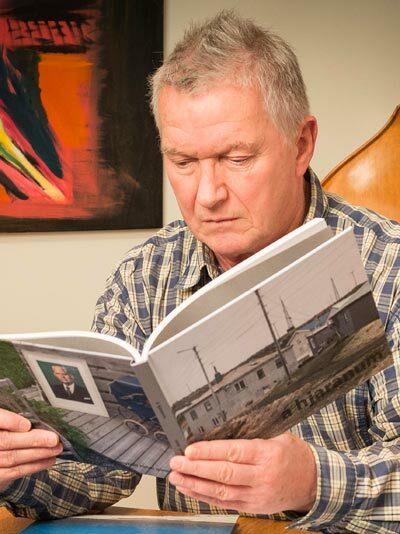 Since 1969 his photographs have been exhibited regularly in galleries in Reykjavík. He has published 16 books – the first was “Certain Visions” in 1995 and the latest is “Hoochie-Coochie” in 2016. At STEYPA 2016 Rúnar Gunnarsson is exhibiting photos from his Dead Fish Collection.